Today I thought I would write about a speedy recipe. 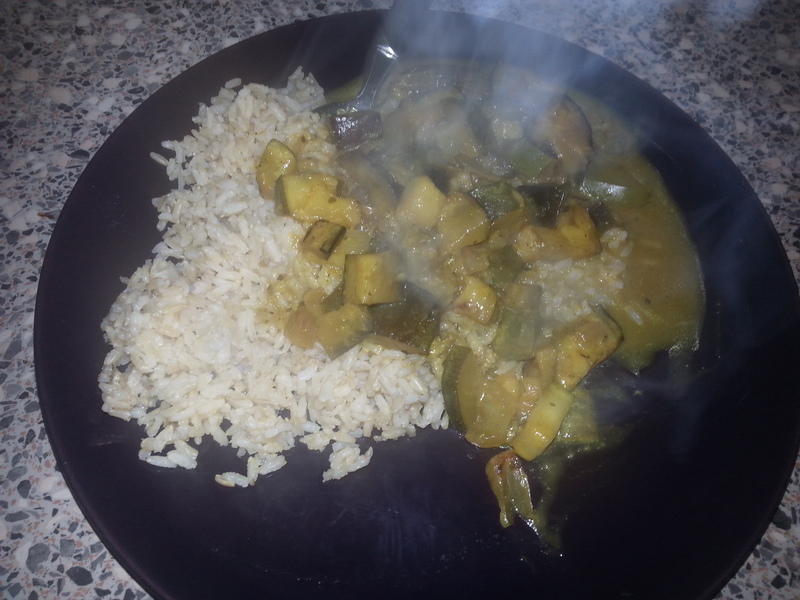 Green curry in a hurry. This dish you can make in about 30 minutes. Its not a tradtional green curry but surely tastes good. 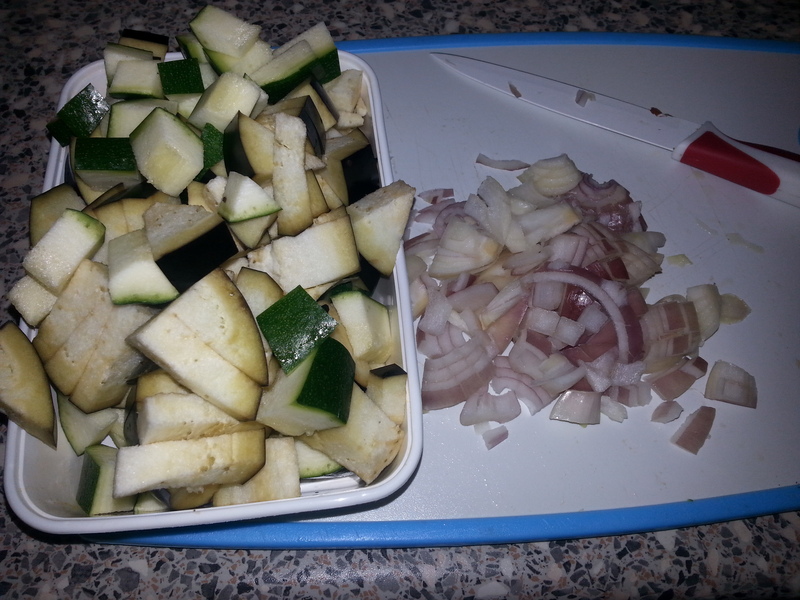 Start with dicing up the Aubergine, courgete and onion. Place youre pot on the stove and put a splash of oil in the pot. Fry the chopped up onion until they turn a golden translucent colour. Afterwards add the aubergine and courgete too the pot with the onion. Cook the aubergine and the courgete until they golden in colour. Add your green curry paste and the coconut milk to the vegetables. Stir all together and simmer the curry on a low to medium heat about 20 minutes. Serve this curry with brown rice but any rice will do.